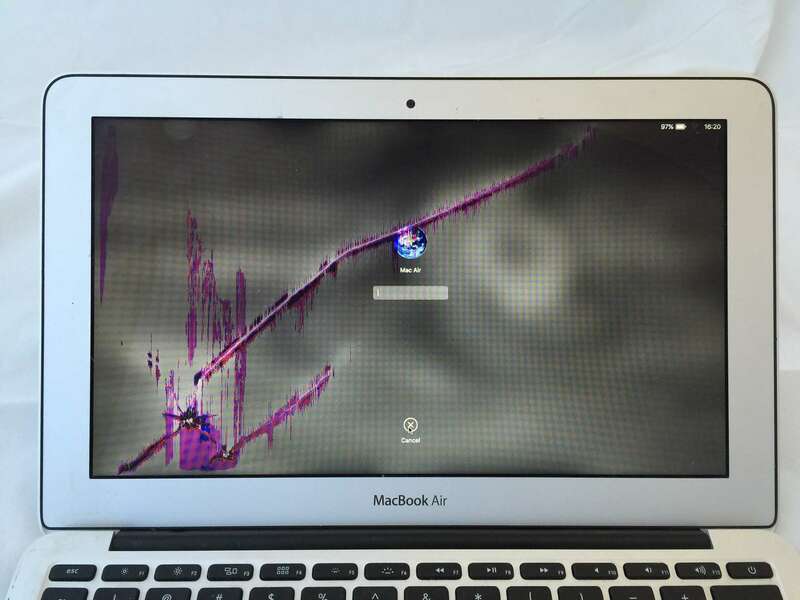 This A1370 11 inch MacBook Air looks like someone scribbled purple marker all over the screen. 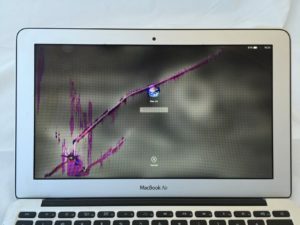 Actually, it’s a broken LCD! Fortunately, LCD replacement on these models is only $200 and can be completed in under 24 hours. 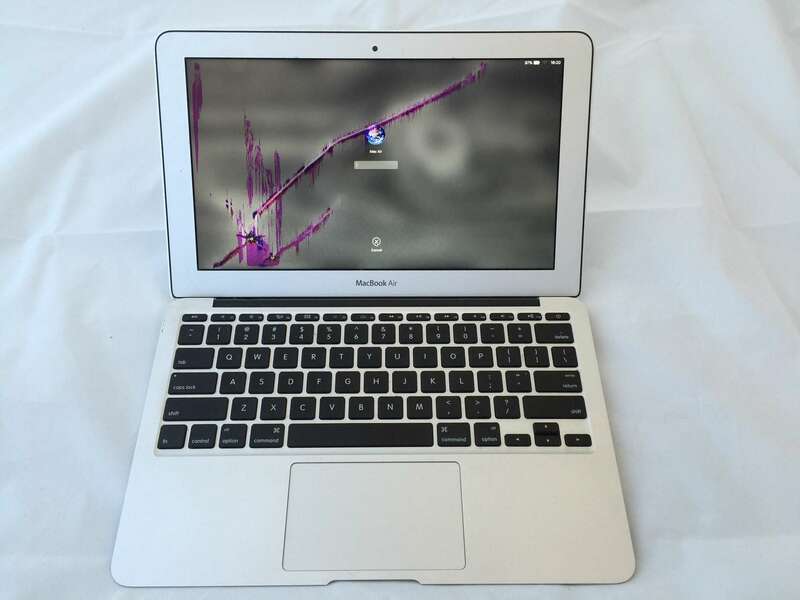 Every cracked MacBook screen looks different, but after our repairs, they all look good as new.